Rock’n’Roll, R&B, Soul, Jazz, Punk, 60’s Garage, Rare & Crazy 45’s. 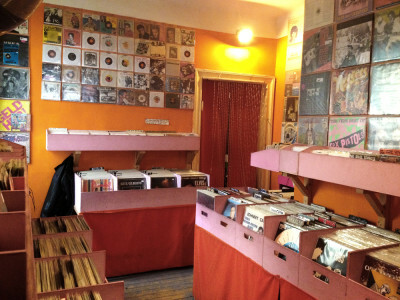 Wowsville records is one of my favorite store in Berlin. The shop is located in a bar so you can bring your drink in the store, great. i found your email adress on your sites Hellshovel…..i was today in your shop (Wowsville Record Store) and buy lot of records…..i spend there all my money….i don´t look how long you are open….and i figuret out that i can borrow some money from my friends and buy more LP´s….so i disadet to go back….but it was close…..it´s any chance to pick up some more stuff today at 10:00…?….i have to leave Berlin in 11:00…..so if it´s any chance to make it i would be graetful.